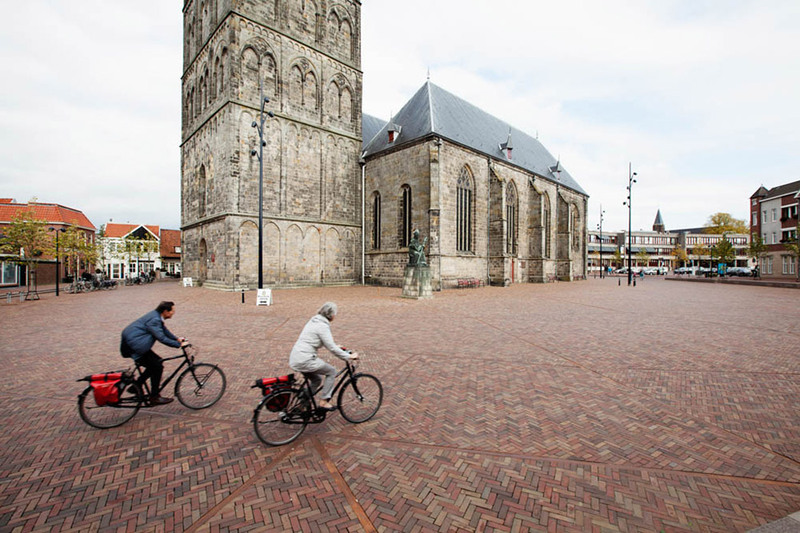 The St. Plechelmus Basilica has been the heart of Oldenzaal since the twelfth century. Over time, this prominent location dwindled down to not much more than a parking lot. The city council decided this must change. 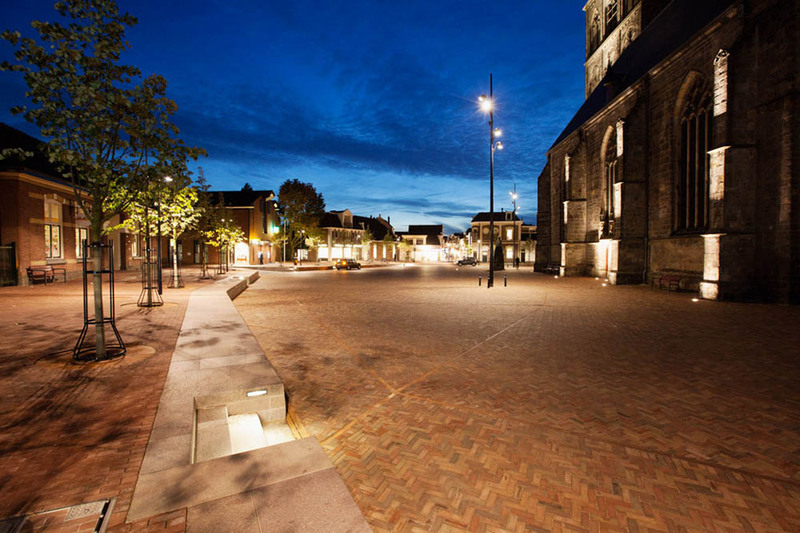 The St. Plechelmus square should become the most beautiful square in the region once again. 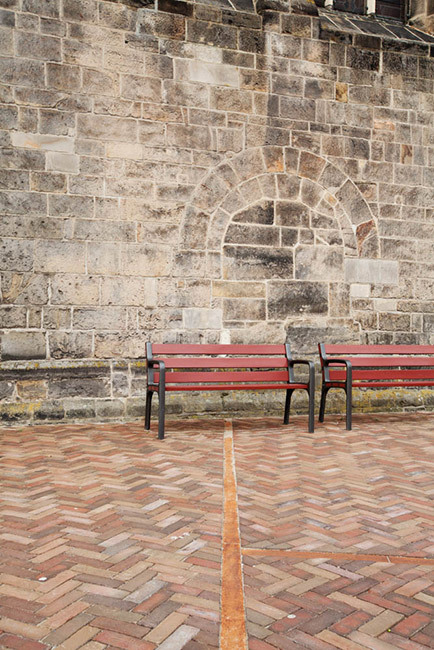 Bureau B+B designed the renovation of the square. Originally, all roads led to the St. Plechelmus Basilica giving it a central position in the town. 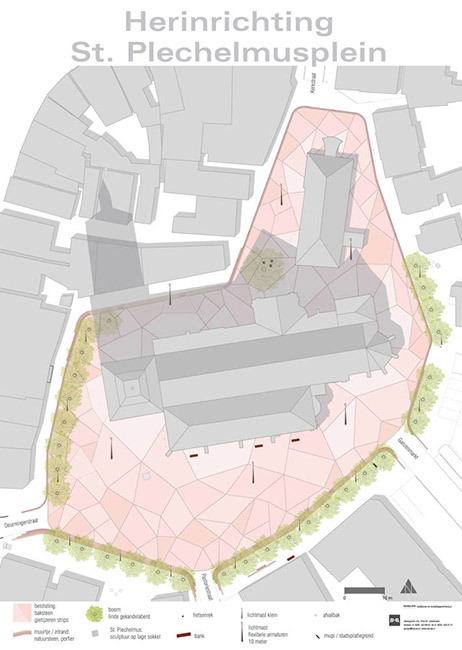 In the design the cars were banished, creating space for a proper town square. A row of trees and a stone wall accentuate the shape of the square reflecting the square importance in the spacial structure. 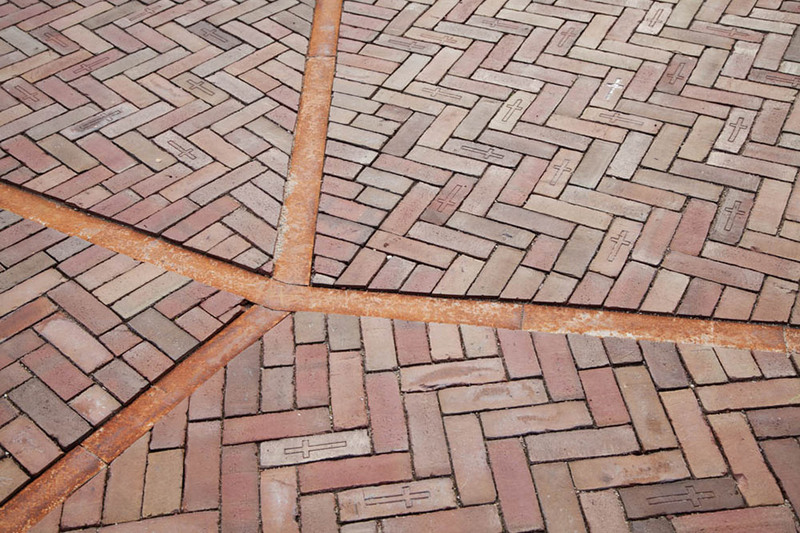 The Basilica is placed on a pedestal by a unique pattern in the pavement inspired by the stained-glass church windows. 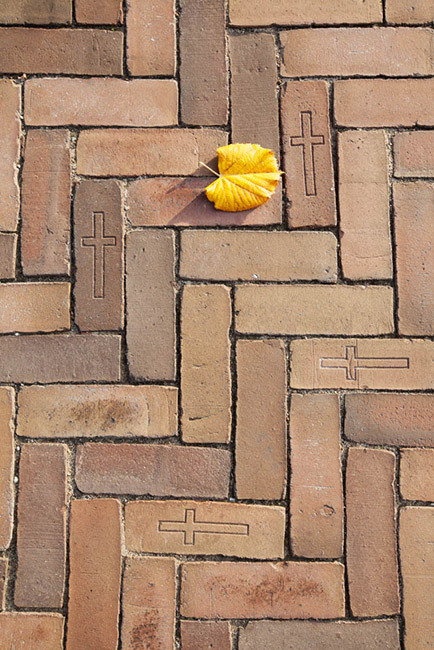 The pattern is created using a cast iron framework, filled with a mixture of bricks, matching the color of the Bentheimer sandstone of the basilica. Archeological research revealed that there used to be a graveyard next to the basilica: Human remains were excavated. As a reference to this, several pavement stones are marked with crosses. Atelier LEK designed the light plan. 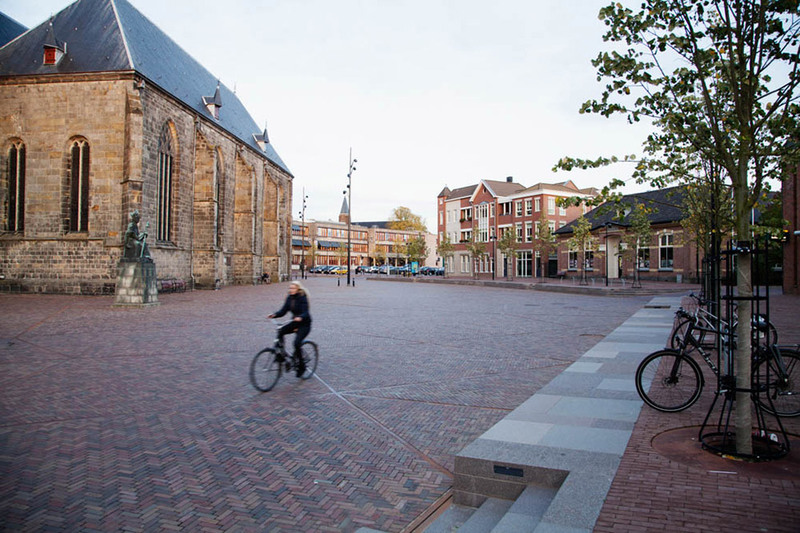 The square has light posts with adjustable fixtures. Ground spots highlight the relief of the massive tower. A wrought iron fence and the statue of St. Plechelmus cast their shadows on the facade. In the evening, the St. Plechelmus square resembles a fairytale. 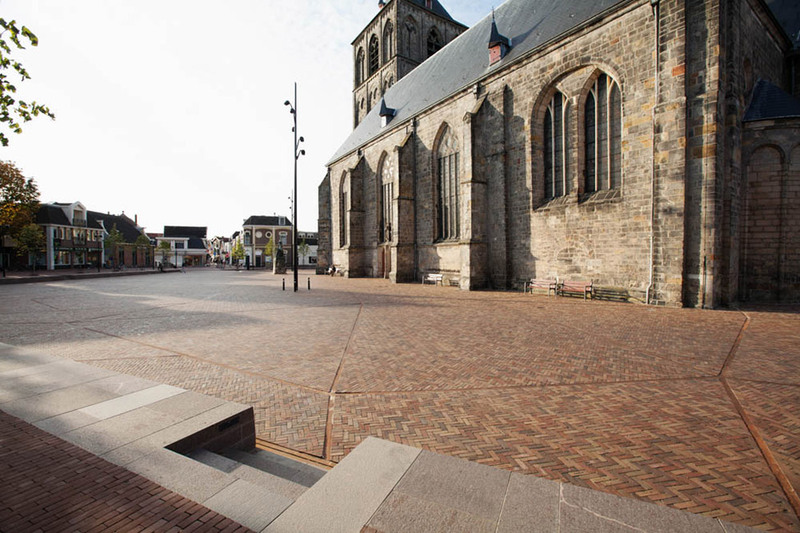 The St. Plechelmus Basilica has been the heart of Oldenzaal since the twelfth century. 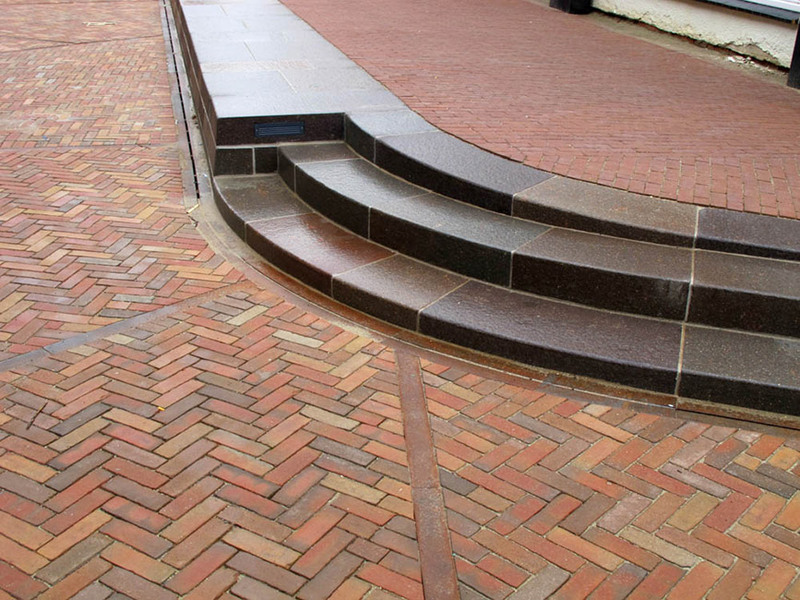 The Basilica is placed on a pedestal by a unique pattern in the pavement, inspired by the stained glass church windows. 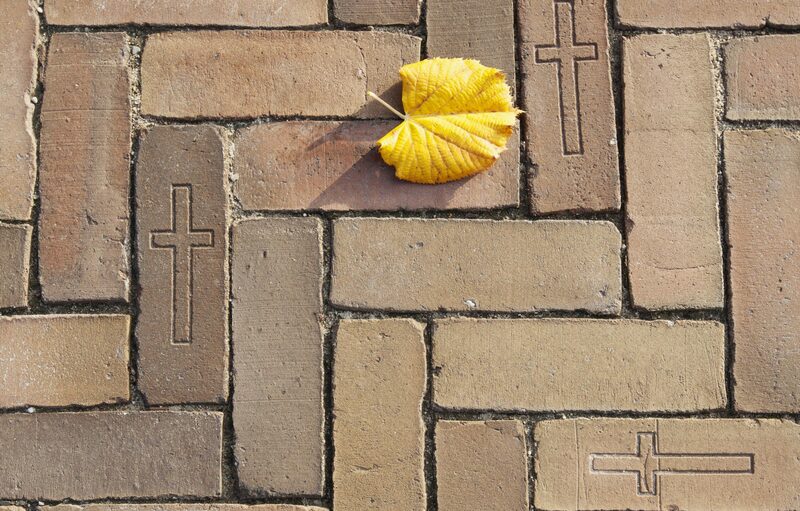 As a reference to archeological research, several pavement stones are marked with crosses. Ground spots highlight the relief of the massive tower.